Social media is good for all kinds of things and some of those things can truly help change the world. Social media can lead to finding people they hadn’t seen for quite some time. There are people who have been able to put a smile on a person’s face because they didn’t think anyone cared, or no one cared about them. On other times social media is a real problem if it can be used the wrong way. Dumping someone is one of the key ways that social media has been used in the last few years and it’s never pretty. People’s feelings get hurt, fights break out and people are incredibly embarrassed. Unfortunately, it’s also sometimes funny. 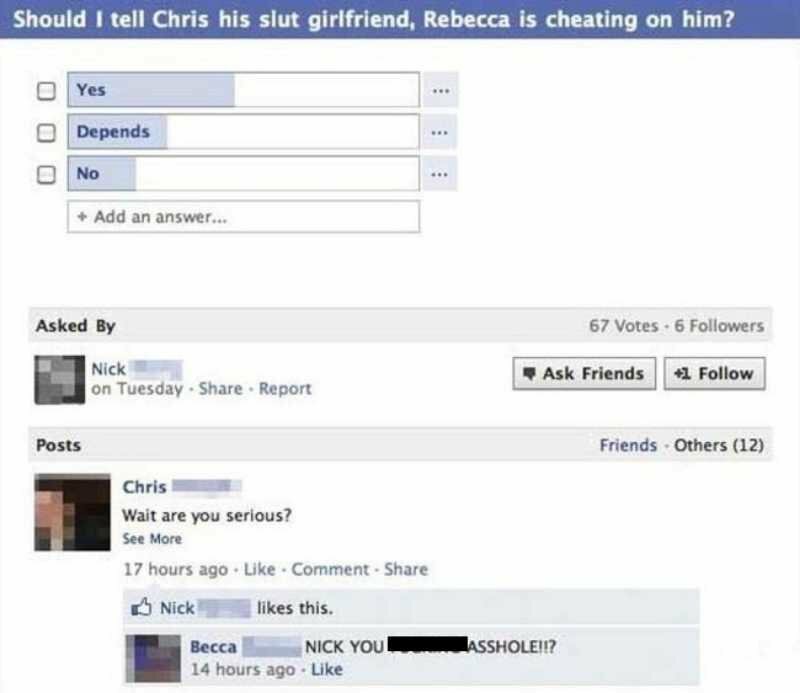 Check out these classic examples of 10 people who got dumped on Facebook and let us know if this has ever happened to you. 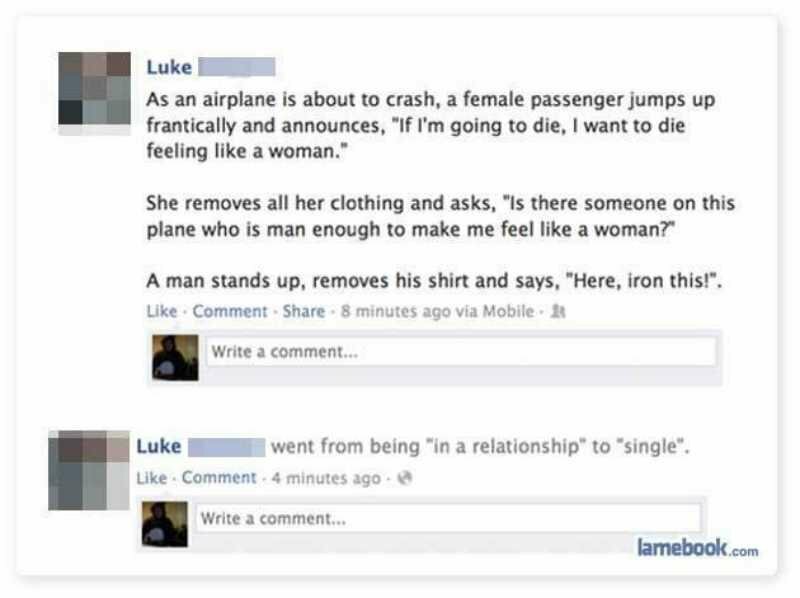 When you are in a relationship with a woman, you might want to run your most sexist jokes past that woman first. By doing that you might still be in the relationship. Check out how fast his relationship status changed. There are certain people who need to get off social media more. When you are updating your status before you tell your kids their parents split, you’re one of those people.